When they hand you that small pink bundle that has just been born your journey as a parent begins, talk about being thrown in at the deep end. Here you are in charge of someone that doesn't sleep, poops constantly and suffers with trapped wind and stimulation overload. If this is your first child there is an overwhelming feeling of 'Oh goodness, am I ready for this, what do I do now and sheer fear on the first day that your other half returns to work.' If it is your second or latter child there is more of a 'I have done this before so I know what I am doing' feeling until you remember the bits you blanked out from the first time around and then the dread sets in as you know what is coming. Got this sleeping thing sorted!! You just get used to burping techniques and finding a way of getting your little one to sleep so you can drink your much needed coffee hot for once and then there is something else thrown at you... teething, weaning, an illness and it is onwards from there. Of course there are lots of good things in there too, first smiles, words and those teetering first steps but being a parent is much like hitting the ground running and it never seems to let up, there is always something that you are learning to deal with. No wonder they say your child's early years will be the best and hardest of your life. We all want to do our best as parents, to have happy, well balanced children and it isn't easy, we work out what we think is the right way to go about things, the right way to handle a stage or situation and go from there. Sometimes we do a brilliant job and all goes well for a while and other times we could do things a little differently or slightly better to obtain a different outcome. Parenting is all about learning as you go and being a team, a family unit and finding out what works for you all. 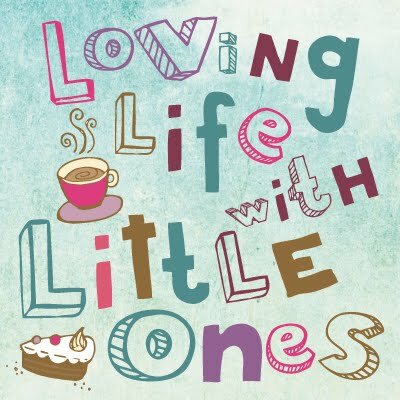 With the Little ones currently being 13 months old, 4 years old and 6 and a half they are all in very different places and we have to treat them very differently and I have to admit sometimes we get it wrong. Little 3 is entering the 'I want to do it myself' stage with meal times, he is pretty dexterous with a spoon and great at getting the food on a fork and into his mouth however it is the waving the implement around between mouthfuls that gets me at the moment, he creates such a mess on the walls, floor, me and the cat too. Mostly he feeds himself but for some meals such as his porridge I ignore the cries of protest as I hold his arm to stop him getting the spoon and shovel it in between the screams (slight exaggeration there in case you felt I was being unfair, but seriously close). Parenting him at the moment is all about allowing him to do what he wants to do but on my terms, such as having a spoon each and letting him have a go now and then keeping us both happy. Little 2 is in a bit of a limbo place right now, she knows she will be going to school soon and loves being a big sister but she still goes to preschool and so 'I am still your little girl, aren't I Mummy even though I'm getting big', was announced last week which pretty much sums her up right now. She has been very angry and shouty at times which is not like her at all, we have had a few emotional outbursts where she has screamed at anyone who has come near her and has needed quite a while to calm down. Little 3 has just started walking and is becoming a more active member of the family and I think all these changes are unsettling her and causing all the emotion. We have made more time to have quality time with her and are trying to allow her to express her feelings without telling her off for shouting and instead sitting down and having a cuddle and a chat to find out what is wrong, it seems to be working as she has been much happier the past few days. Little 1 has just emerged from the 'It's not fair' stage and is currently trying to be more grown up and helpful which is really great, but I am aware that as well as wanting to be a big girl and helpful to me she is young and sensitive. I do not want her to feel that she has to be the 'grown up one' as she is the eldest, I want her to be a child and enjoy her childhood. I want her to understand that she is brilliant just as she is, they all grow up far too fast anyway. I have recently been sent a book called 'Children do not come with a manual, The essential guide to a happy family life' written by Carole and Nadim Saad which discusses common parenting issues such a whining, not listening etc and offers tools and strategies to help parents effectively tackle those situations. For example instead of saying 'Shall we go and brush your teeth?' and then having a battle with a child who has said 'No', they suggest saying 'Shall we brush your teeth in 2 or 5 minutes? ', thus empowering the child with the decision but the parent wins as the job gets done either way. I don't think we were doing too badly as parents but having read the book we have already implemented a few minor changes. Sometimes we used to say to the girls 'Who can get in their pyjamas the fastest? ', quite often being the eldest Little 1 would win and often Little 2 wouldn't want to join in as she was likely to lose so now we say 'Who can get into the pyjamas before I get to 10?' Little 1 is generally ready before her sister but both girls are happy as they beat my counting and I win too as they are ready for bed. Simple changes to the way we parent and the way we respond to situations such as those suggested in the book can make a parenting situation much more positive and have a big effect on a child's behaviour and family dynamics. We may not always know whether we are doing the right thing but sometimes things like this can help us along the way. N.B I received 'Children don't come with a manual' in return for it's inclusion in a blog post. Hovever all words and opinions are my own honest thoughts.